How to improve the situation of sows anorexia? (a) to prevent the occurrence of breast edema in sows. (c) Lower sow's body temperature. 2, improve the environment, reduce ammonia and temperature. 3, reduce the content of crude fiber in sow feed (such as bran) to reduce food heat. (d) adopt the method of eating small meals and using wet materials. (e) increase the sow feed palatability. How to prevent sows from giving birth? (I) Causes 1. According to statistics, the last 1/3 of a litter of litters died due to suffocation. The reason is that the umbilical cord of the piglets is shorter than the uterus of the sow. Therefore, in the late 1/3 stage of childbirth, Since the umbilical cord was broken at the time of discharge, the piglet could not be discharged in time if the sow was anemic, tired or unable to contract. The piglet died within 5 minutes of suffocation. 2, heat stress. 3, anemia or disease. (b) Methods for prevention 1. Raise the amount of sow nutrition and prevent anemia. 2. Add fine organic iron to the sow feed to increase the contractility of the sow's abdomen. 3. Reduce heat stress and reduce the content of crude fiber in feed. 4. Pay attention to the disinfection of the delivery house. 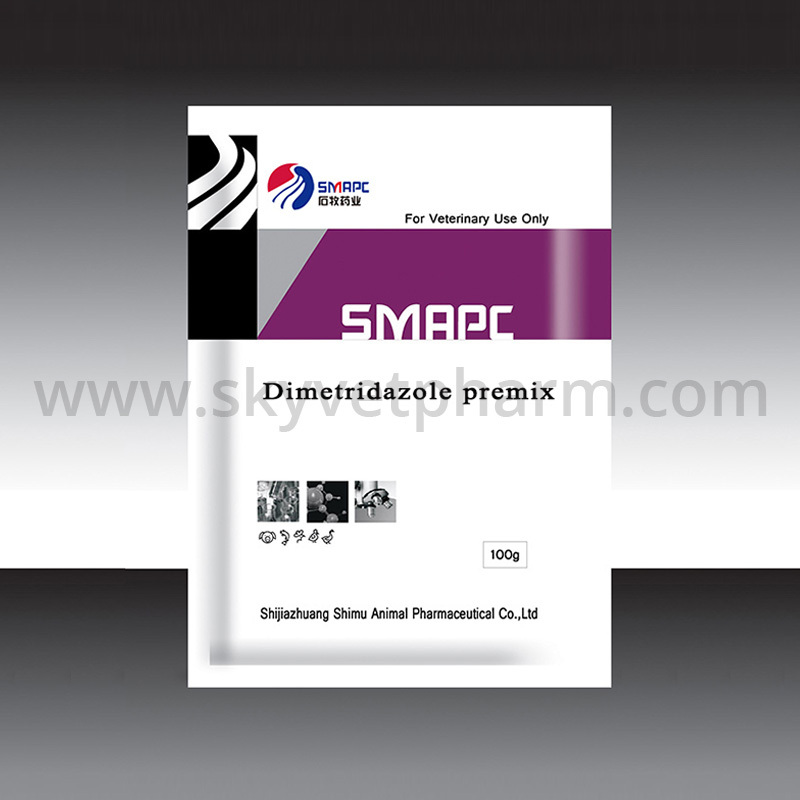 We provide Dimetridazole Premix for Pigs, Doxycycline Hydrochloride For Pig Coli Disease with high quality. Pls browse our website for more information.